For over three decades, Critter Control® of Tampa has been the leader in protecting people, property, and wildlife. 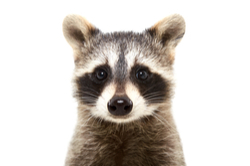 We offer a variety of services to humanely and effectively remove nuisance pests from both homes and businesses including raccoon extermination. Unusual noises – Because of their size and weight, it’s hard for raccoons to move around without making loud thumping noises. If you hear what sounds like walking across the roof, it could be a raccoon returning to its nest. Raccoons are also very vocal creatures, especially when communicating with their youn More than likely, you’ve probably heard the high pitch crying sounds that baby raccoons make when crying for their mothers. Nesting materials – Raccoons will use whatever they can find to make a nest including twigs, leaves, and moss from outside. They also love to tear up attic insulation to lay on. Signs of damage – Look for chewed on or ripped through wooden support beams, roofing tiles, HVAC components, wiring, or drywall. Food waste – Raccoons love to eat! Overturned garbage cans and pet dishes, food scattered around your property or inside your attic, and torn up vegetable gardens are all common signs of a raccoon intruder. Raccoons are urban animals who have no fear of living amongst humans. Therefore, it is a little more difficult to simply keep them from coming on to your property. However, there are things you can do to help prevent them from being attracted to your home and yard. Strap your garbage can and lid together using bungee cords, or keep your garbage cans in the garage and set them out in the morning. Avoid leaving pet food outside. Ensure you’re not giving the raccoon an easy way in, such as through a doggy door. Repair any damage to the exterior of your home. Install an exclusion barrier of steel mesh underneath your home, deck, or shed. If you’ve noticed any of the mentioned signs or have utilized our recommended prevention tips and are still having wildlife problems, call the expert raccoon exterminators at the Critter Control of Tampa. Our technicians are trained to identify all entry points correctly and will humanely and strategically remove the raccoons from your home using industry-leading standards. We also offer additional services such as home services and exterior cleaning as well as attic insulation and restoration to get your home back in order, giving you peace of mind. For more information, call us today at 813.948.0870.